The event begins at 11:00 am. 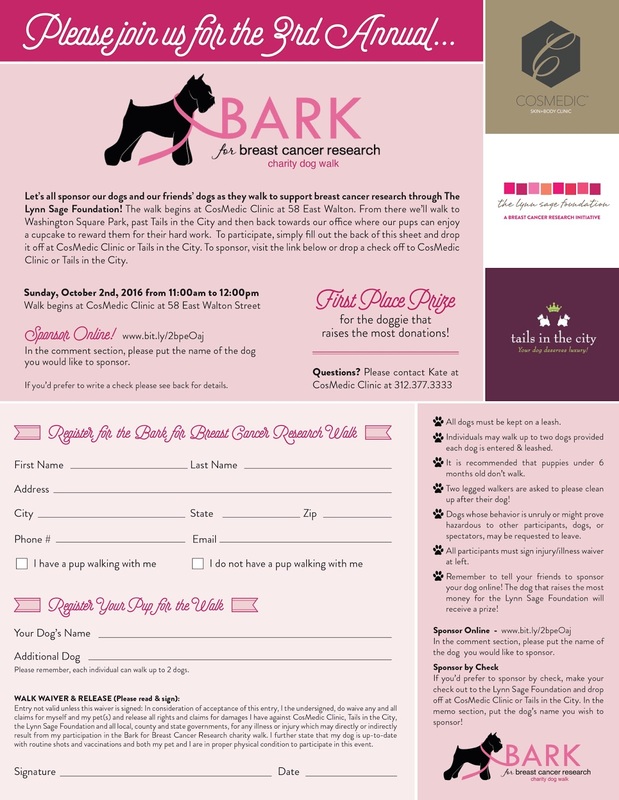 The route begins at CosMedic Clinic, goes to Washington Square Park, past Tails in the City pet boutique, then returns to CosMedic Clinic where the pups will enjoy a cupcake! Prizes will be given to the dog who raises the most money and to the dog with the best pink costume.